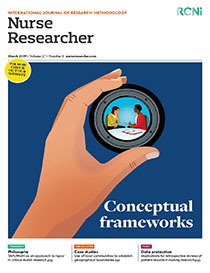 Background Consensus methods such as Delphi studies or the group nominal method have long been used in healthcare research to develop services, processes or policies and inform further research. However, concept analysis and meta-synthesis tools are used more frequently to seek a collective understanding of subjective terms. Aim To examine the use of consensus methods to develop linguistic clarity in healthcare research. Discussion The authors argue that consensus methods are appropriate for determining linguistic clarity when researching subjective terms. The paper includes a sample research design that incorporates this approach. Consensus methods, supported by interpretive synthesis of the concept and research, can enrich our understanding of subjective terms used in healthcare research. Conclusion Understanding the importance of linguistic clarity is an important step for healthcare researchers. Consensus methods, if managed effectively and conducted in line with the appropriate research guidelines, can bring a richer understanding to concepts. Implications for practice This paper presents a research example that incorporates the use of a consensus method and which healthcare researchers can use to reduce the potential ambiguity of subjective terms in their research.